The barrage of summer beer festivals is here. So you can expect to see some sort of festival every weekend and even some weekdays. Some of these are "me-too" events, thrown together in hopes of making a few bucks on the wave of craft beer popularity. Some are more authentic. This week's Fruit Beer Festival, now in its fifth year, is a favorite of mine. You won't find most of these beers outside the festival. That's not to say every beer is great. Opinions are going to differ on the good and not-so-good. The fun is in trying some unique interpretations of what you can accomplish using fruit in beer. The other day, I saw some people beating up the Fruit Beer Festival on social media due to overcrowding in recent years. Venue size has definitely been an issue. This wildly popular event probably needs to move to a park or similar location. 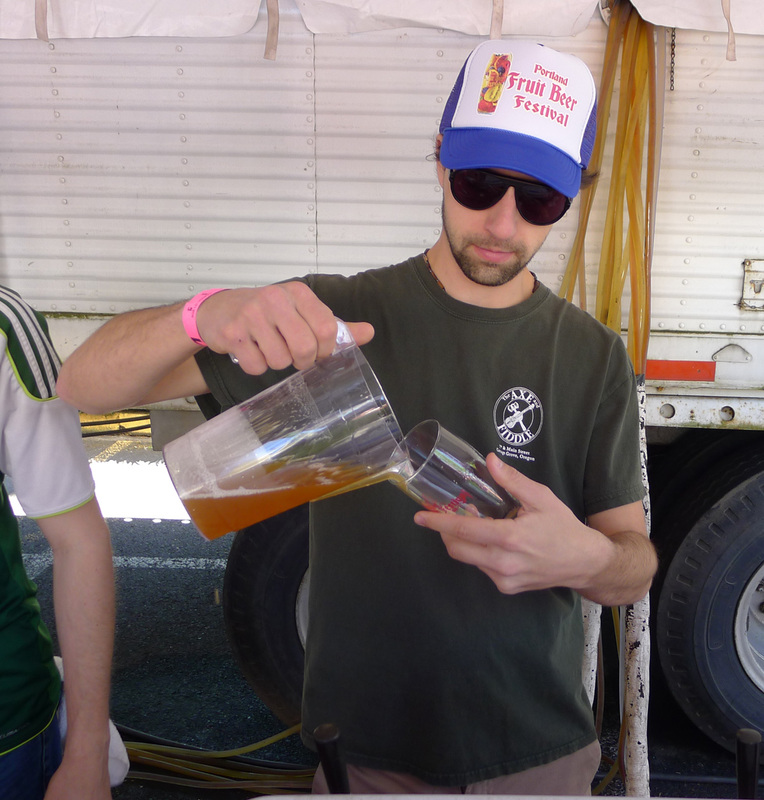 Organizers, aka Burnside Brewing, prefer to keep it close to home. You can't blame them for a variety of reasons mostly related to cost. Most importantly, they've expanded the festival footprint by (they say) 40 percent. They'll do this by occupying open space immediately to the west of Burnside Brewing, including 7th Avenue and the lot across the street. Good news. Last year's Friday night VIP session is history. They've opened that time slot up to the general public. With the weather cooperating nicely, Friday evening might turn out to be the perfect time to visit. The space for Friday's 4:00-9:00 p.m. session will be limited to the Burnside parking lot, which should be fine. Smart move. Although the growing popularity of the Fruit Beer Festival will likely force organizers to move it to a larger venue at some point, the changes they've made for 2015 should help alleviate the issues they've seen in recent years. Hopefully. There isn't any additional room to expand here, so the next move will be a move. That much is clear. 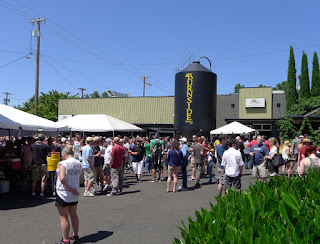 The festival brewery roll call is long. You can find the list here if you feel the need. At a media preview Friday evening, we tasted a few of the beers that will be pouring. My favorites included Ecliptic's Ultra Violet Blackberry Sour Ale, Burnside's Peaches of Immortality, Fort George's Pucker Pi and Laurelwood's There Gose the Neighborhood. Fruit of the Garden of Good & Evil, a collaboration between Burnside and Reverend Nat's Hard Cider, features some nicely balanced heat thanks to several varieties of peppers. Don't miss it. Ticket prices are about what you've come to expect: $20 for a tasting glass and 12 tickets. Be advised that some beers will cost more than one ticket. You can buy advance tickets on the festival website here if you wish. Doing so may get you in the gate faster, but you'll pay a little more for the privilege thanks to fees. Buy tickets at the gate and you'll likely wait in line a few minutes. Your choice. All the pertinent information is on the festival website here. It should be another great tasting experience for anyone who likes to see what brewers can do with fruit and beer.